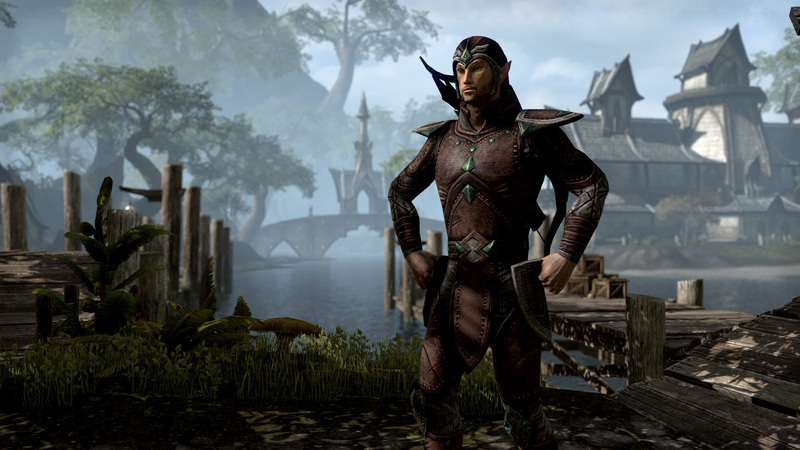 There’s no stealth alternative for a Nightblade within The Elder Scrolls Online, and the game’s main stealth class contains a wide array of skills and abilities to provide players with a heavy dosage of DPS. While the Nightblade may be slow to leave the gate, its maximum potential is reached rather early within The Elder Scrolls Online. When geared properly, the class can become a viable killing machine within AvA. When leveling a Nightblade, players may want to take several options into consideration. A Nightblade’s weapons are key to landing heavy critical blows, and Nightblades focusing upon Magicka should synchronize their skills with a viable Syphoning build. Regardless or skill specialization, however, selecting weapons and armor will be important for any close-combat players utilizing the Nightblade within early levels, as their unique damage output is paired with a relatively low Health cap. While The Elder Scrolls Online grants players many opportunities to customize their Nightblades in many ways, the following sections will outline tips for “cookie cutter” Nightblades focusing on high damage outputs and stealth. Nightblades, like many classic rogue-type classes, take advantage of daggers, one-handed swords and one-handed axes. Dual wielding consumes Stamina; while two of the Nightblade’s skill trees access Magicka as a component for skill usage, the Nightblade’s final skill tree, and the Nightblade’s sneak and sprint abilities, do not. Dual wielding delivers stamina-based power hits through the player’s Stamina bar, and players may later select a specialization with either daggers, swords or axes. Daggers increase the Nightblade’s critical hit percentage while swords increase damage. Axes, meanwhile, deliver bleeding damage-over-time de-buffs to enemies. Fast and light weapons are preferred, and low-leveled Nightblades can use them to essentially kill enemies with a single stroke during quests and exploration. While many armor options are available to Nightblades, their prime selection is medium armor. Medium armor provides increased protection from light armor, and it boosts quiet movement, running speed, stealth and Stamina. Medium armor, when leveled, lets players increase their critical strike rating for additional and worn leather pieces. A full set of leather armor, later, will boost the Nigthblade’s agility bonus and attack speed, and it increases overall Stamina regeneration. For beginning levels, leather armor will be difficult to come by, and players may not see their first piece until around level six. Until full leather can be achieved, players are urged to select whatever armor is available to them for increased protection atop their supplied pre-game linens. Stacking armor will help Nightblades get through introductory island quests, and it will protect them from a few single mini-boss fights. Once players are shipped away to their respective alliance’s mainland, locating and equipping full leather armor will give them sneak benefits. While players won’t have access to main passives granted by medium armor, they may rely upon sneaking skills to quickly remove enemies from a questing equation. When considering heavy armor, Nightblades should take notice of the armor’s damage mitigation within later lines. Players should consider wearing a single piece of heavy armor within early levels, as it will make leveling the skill line easier in later levels. Several Nightblade builds rely upon durability, and a Nightblade utilizing heavy armor isn’t too outlandish within AvA. Many Nightblades focus upon Health and Stamina. Health is essential for survivability, and low-leveled Nightblades might want to stack Health for early boss encounters. Nightblades have diminished healing capabilities within early levels, and stamina, while essential for stealth, is primarily used for blocking, dodging, and interrupting. When leveling a Nightblade, players should prioritize Health. Following Health, Stamina and Magicka should be prioritized, in that order. The Elder Scrolls Online lets players access several “racial” abilities through multiple races. While not defining, many racial traits may be paired with the Nightblade’s natural abilities. While these racial traits will essentially be nullified by end-game scaling, leveling a Nightblade may become easier when these traits are effectively selected. Many players prefer Redguard and Khajiit races when playing a Nightblade. Khajiits contain a stealth bonus, so players focusing upon the Shadow skill line may benefit from the increased sneak radius. Meanwhile, Redguards make excellent use of stamina through their racial bonuses. In any case, a Redguard Nightblade will receive stamina and close-up melee bonuses. When playing a Nightblade, the initial 10 levels may be difficult. Nightblades, like other melee-primary classes, require top-notch gear for survival. However, focusing upon stealth strikes and maneuverability will both aid players during beginning quests and prime them for PvP. 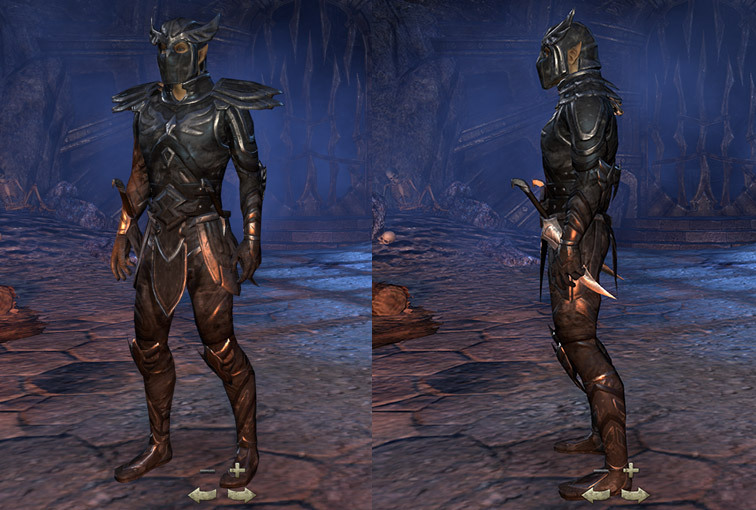 A Nightblade’s prime attributes rest within their high-damage outburst capacities. Regardless of class, and regardless of personal play-style, every player should focus upon exploration following their introductory island’s quest-line. The Elder Scrolls online rewards players’ completion of public dungeons to locate skyshards. While quests are an integral part of The Elder Scrolls Online, Nightblades are fantastic exploration classes, and they should take advantage of the game’s main experience stream. Focus upon discovery, and kill monsters for added experience first.